Art nouveau fire surround (AWS-1340) A superb Art nouveau style Mahogany surround featuring two finely carved floral abstracts rising to a pair of arched bracket capitals with unusual ovoid cut outs and a central serpentine shelf. 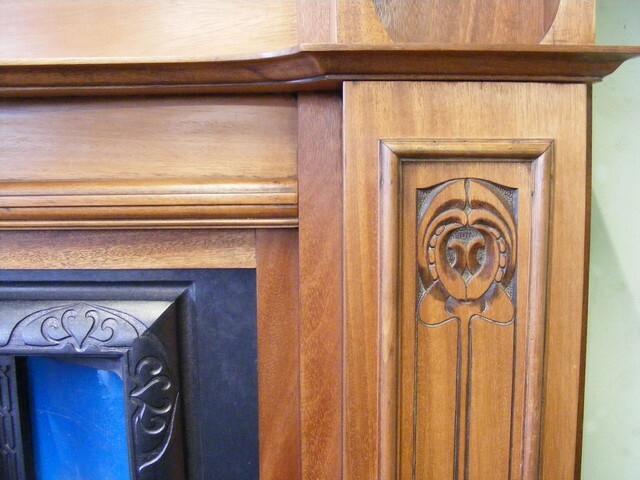 The surround has been stripped of its original dark varnish and repolished to a light walnut colour, which really brings out the beauty of wood, a very stylish fireplace. 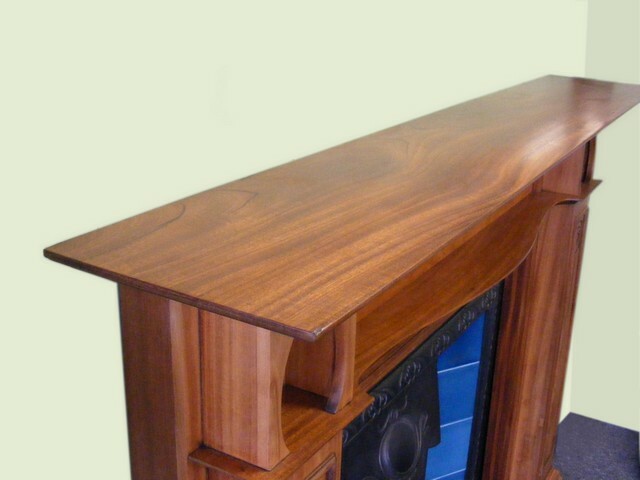 Measures 64”wide x 51” with an opening 37”wide x 36”high. 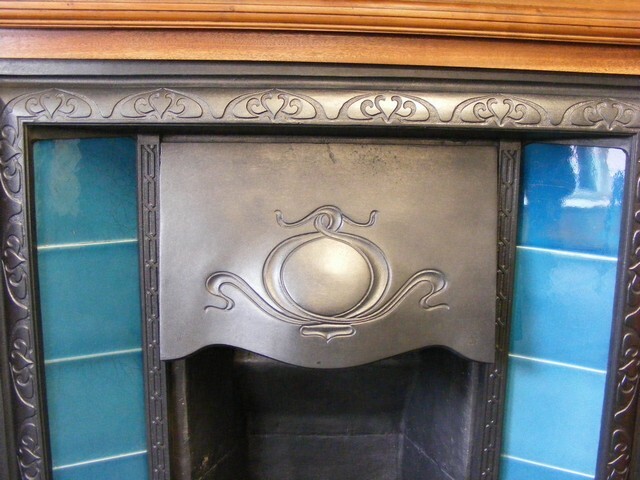 Priced at £900.00. 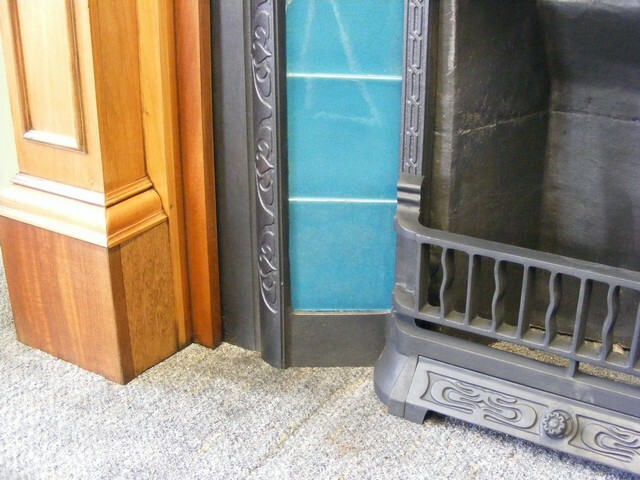 Edwardian tiled insert (ATI-1341) A pretty Edwardian tiled insert with subtle Art nouveau detailing and a good set of original translucent aqua blue tiles, fully restored and complete with a new fireback suitable for use with a gas or solid fuel fire. 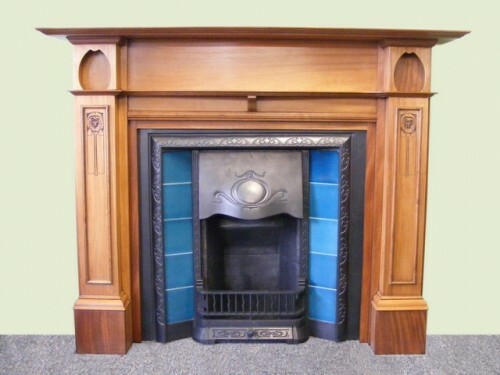 Measures 38”wide x 38”high with a 16” fire opening. 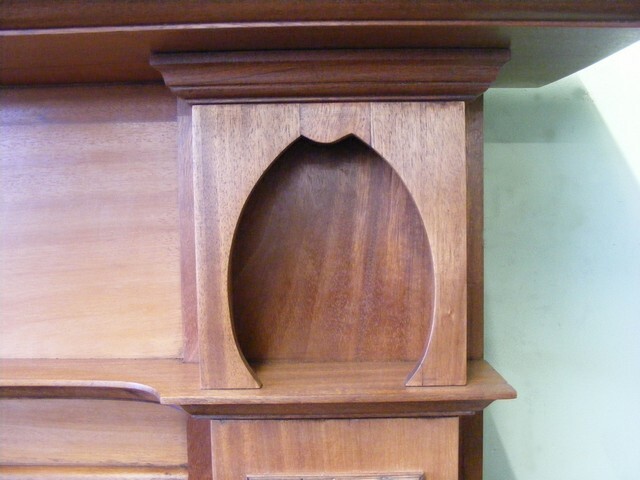 Priced £600.00.